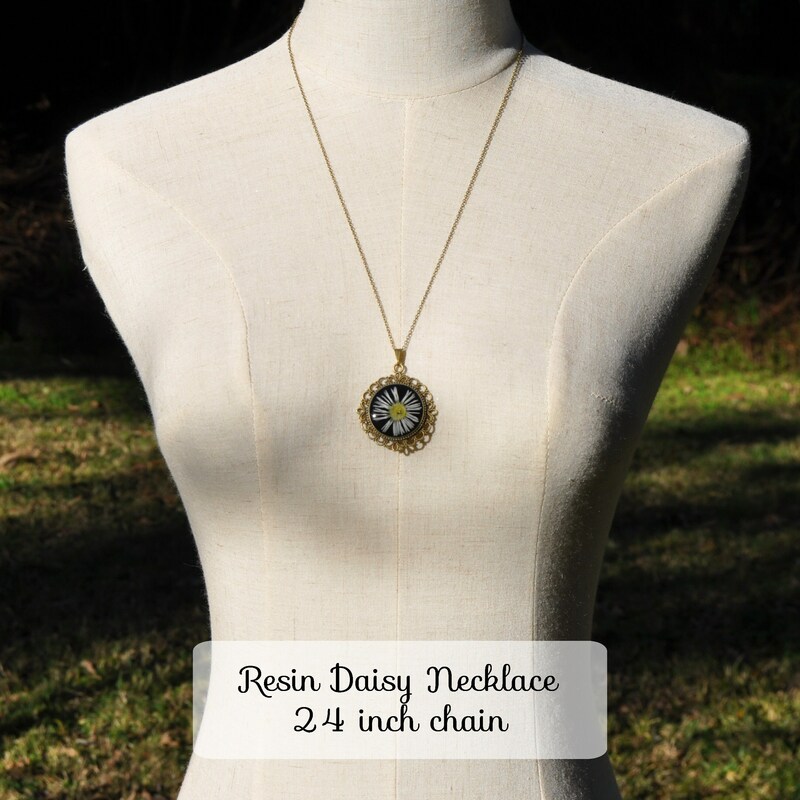 Set in an vintage style filigree setting, this real Daisy necklace brings to mind a simple, yet elegant Victorian style. 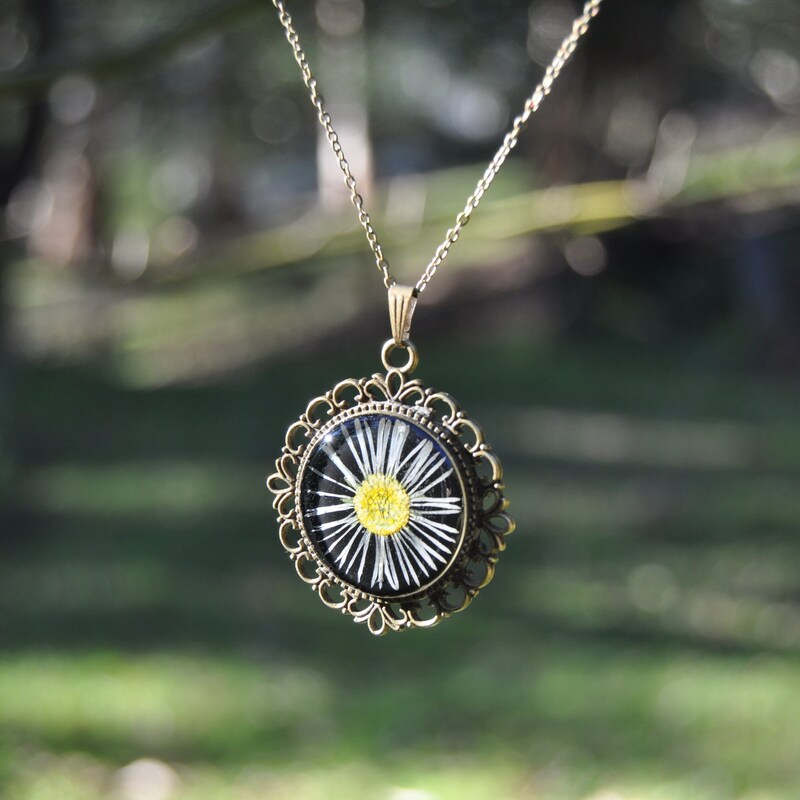 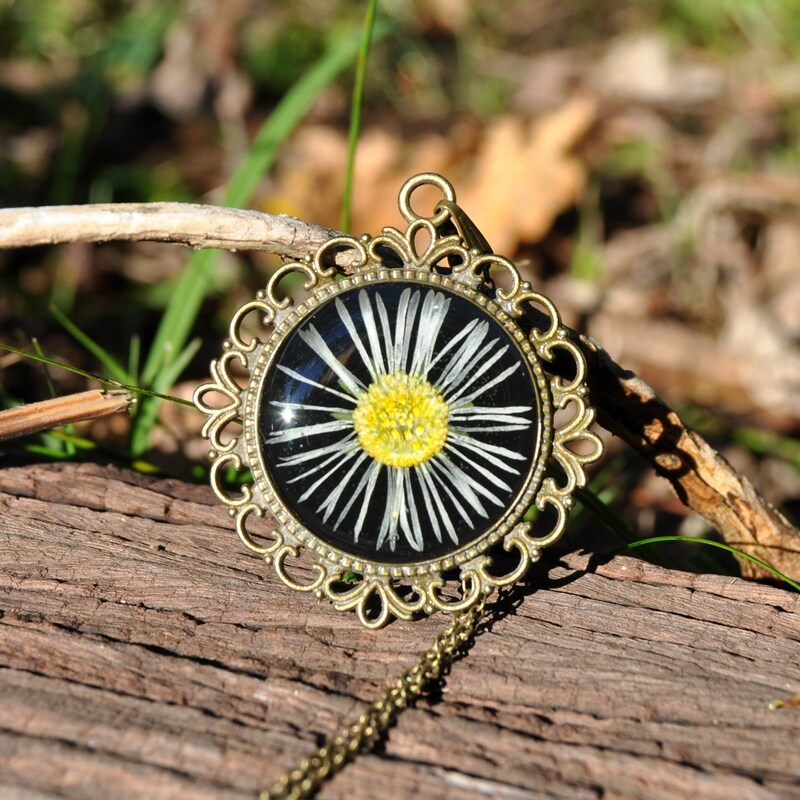 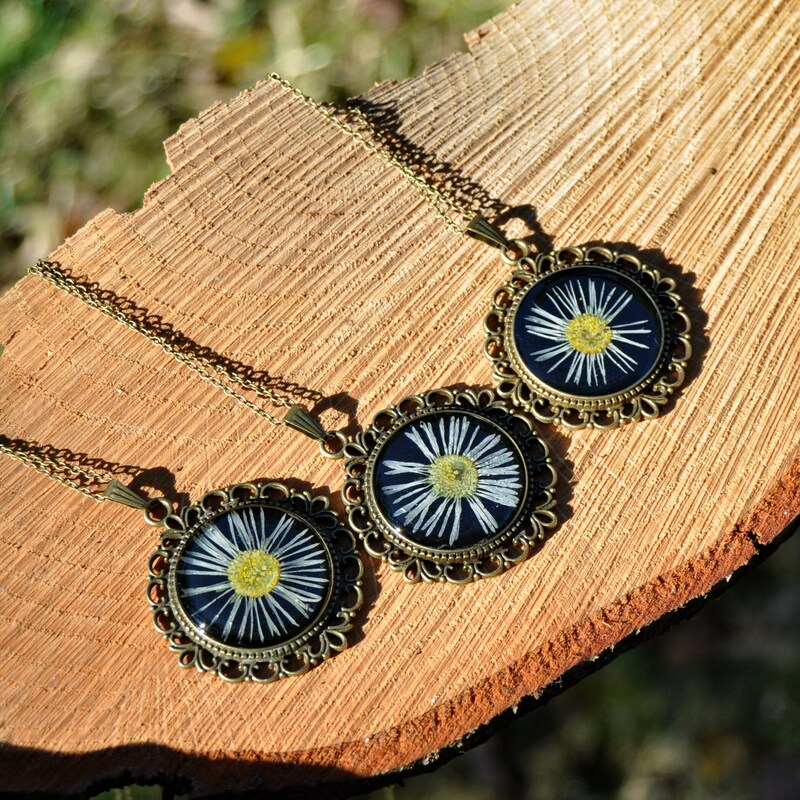 Set is a antique bronze toned bezel, the pressed Daisy flower is set against a black background and covered in a layer of clear resin, protecting the flower for years to come. 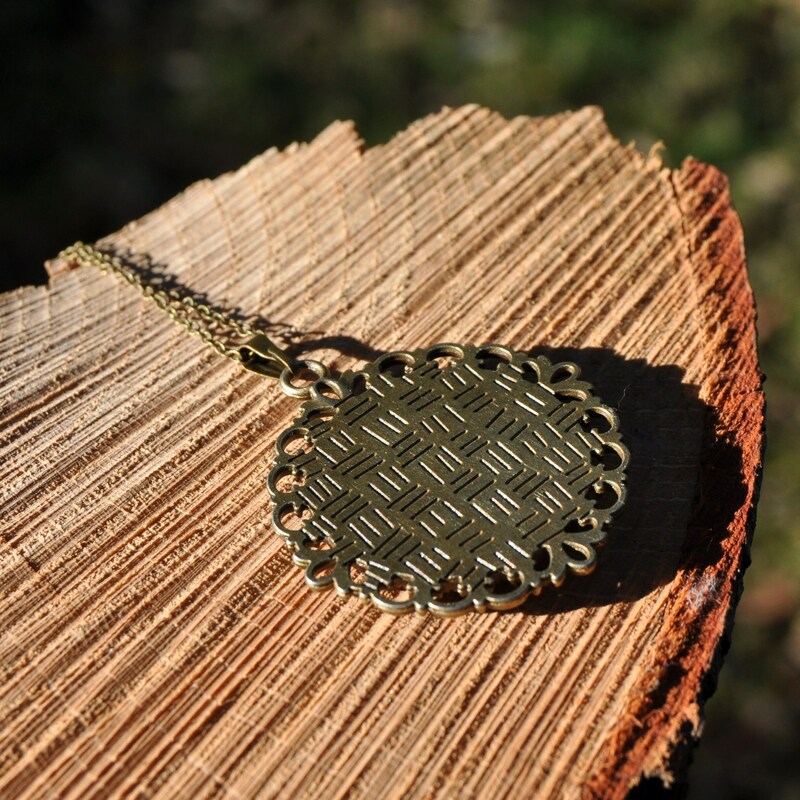 Each pendant comes strung on a thin antique bronze plated brass chain.